CAD provides lay-in, snap-tech, hook-on, spring-tech systems or expanded metal mesh depending on your desired application. We provide all trim and suspension material for either a free floating or wall to wall system. Custom ceiling and wall panel systems are individually designed to meet your customer’s needs. 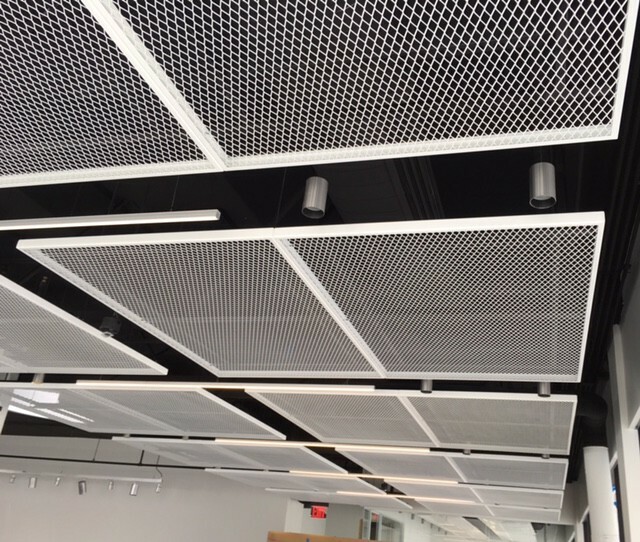 CAD offers perforated radius panels in a wide array of metals, sizes and finishes. Our systems allow you to achieve the desired level of sound absorption while adding cost-effective architectural accents to an area.